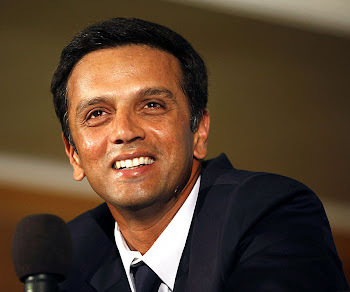 Rahul Dravid fell just when it seemed he would finally end a protracted lean patch and the circumstances surrounding his dismissal caused a stir here. Another referral gone against India was reason enough for skipper Anil Kumble and coach Gary Kirsten to meet match referee Alan Hurst after play ended on Day III. Being struck on the front pad extended to the maximum by Muttiah Muralitharan and a loud appeal. Standing umpire Billy Doctrove negated the shout, probably because Dravid was struck some 2.5 metres away from the wicket, that too, by the biggest spinner in world cricket. That should have been the end of the matter but it wasn’t. Lanka skipper Mahela Jayawardene, after consulting Doctrove, called for a review. The consistently inconsistent Gamini Silva thought Doctrove was wrong and Dravid had to go. From a seemingly healthy 200 for two, India took stumps at 200 for four after Dravid and Sachin Tendulkar fell on the same score. The skipper is entitled to his opinion but into its second Test, the referrals haven’t been yet able to take the subjective element out of decision-making.